Feeling an unusual cramp in her left breast this past June 2015, Janet Masters became concerned. After calling the Stefanie Spielman Comprehensive Breast Center at The Ohio State University Comprehensive Cancer Center – Arthur G. James Cancer Hospital and Richard J. Solove Research Institute, she received a mammogram within 48 hours and a biopsy that same day. Soon, she was diagnosed with breast cancer. Since her diagnosis, Janet has had four chemotherapy treatments. Her physicians say her response is extraordinary and that she is on the right track to recovery. Recently, Janet’s energy has been focused on giving back. 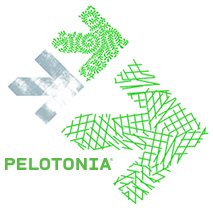 In addition to advocating for the OSUCCC – James, she completed her first Pelotonia ride, biking 25 miles and raising more than $2,000 for cancer research. Janet encourages others to donate to the OSUCCC – James and the Stefanie Spielman Breast Center so that staff can continue to be early adopters of new technology, find new prospective treatments and ultimately identify a cure for breast cancer. “Everybody’s treatment is special,” says Janet. “It is our responsibility, as donors, to work together to provide opportunities to help those affected by breast cancer. Join Janet in giving back today.